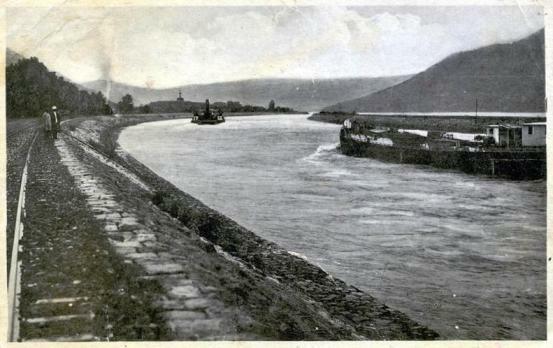 The strongest Czechoslovak towing motor boat ČSPD Kriváň front of the Syp channel in place of the current dam wall. On his šlepsál Dacia, the Romanian strongest Towing-pusher company that built the first hydroelectric plant Djerdjap 1. Dacia has in tow two fully loaded 1,000-tonne boats. On klamsál is ČSPD 10 025.
engine tug boat ČSPD Dukla (author has been there for stowage in 1976 with a machinist Virgil Lederleitner and machinery administrator Bunčák), engine side-whels tug boat Fatra, engine side-whels tug boat Inovec, engine side-whels tug boat Javorina, engine side-whels tug boat Poľana). Mühlham (destination ships of ČSPD n.c.) km 2270. Schalding in (destination ships of ČSPD n.c.) the river-km 2235. Navigation chamber Kachlet in km 2230. Border town Passau with port and basin in the right river-side, (destination ships of firm ČSPD n.c.) made for we unaccustomed tolerant customs and pass control in km 2226. Erlau in km 2215. 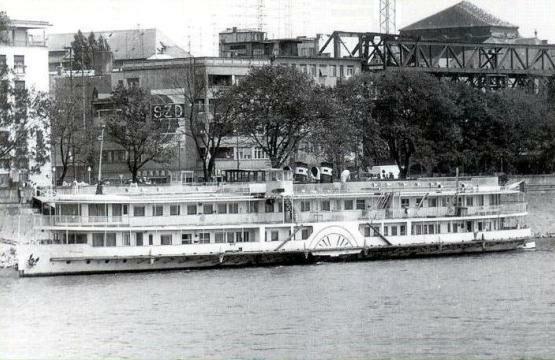 Javorina, former ČSPD s/s Bratislava buildet in Budapest in the fifty years. In to new holder served as swim hotel s/s Javorina. Witness remeber, one night cost 10-15 kčs). Členovia strojnej posádky m.l. Poľana sa zaviazali opraviť hnacie kolesá v nadčasových hodinách od 1. do 10 júna, čím skrátia prestoj potrebný na vykonanie opráv. Boli to Jozef Lazar, Rudolf Páleník, Karol Hrončok, Václav Peňkava, Pavol Ondrejkovič a Jozef Jurenka. Zdroj: noviny "Náš Dunaj" z 11. júna 1976. Before the year 1989 was steel most important export produce load in port Bratislava. With him stand and drop transport with ČSPD n.p. to exchange part of world market means low-danubean ports. Without export of the steel with firm to Low Danube dont transport and all his existence was problematicle. In reality export of steel to devise markets was only commodity of PZO in the course of buying agent payment instantly after send. According to position former employees of firms external commerce in Prag and former employees different federalize ministerial, maybe most important buying agent of steel in ČSSR and purveyor of roller line for VSŽ n.p. (too today operation) was citizen of Canada mr. Alexander Kerney. Without him realisated purchase to by for our inhabitles in insede market be missing most important commodity and raw materials imported of freechang territorys. Over reality ratify to autor commercial director and member of presidium firm SPaP a.s. Bratislava ing. Jiří Klaudy, in the thus time shef of commerce detachment of Třinec Ironworks and inform he, with Alexander Kerney persons have not contact, bad know his name of numerical commerce contracts. That is why president Thyssen Stahlunion of Canada Alexander Kerney and his wife Lady Gizelle, daughter of District governor in Bratislava Dr. Aladár Ondrejkovič (Dr. Aladár Ondrejkovič he was the main ispan Topolčany in 1921-1924, the district chief in Považská Bystrica 1924-1928, Zlate Moravce 1928-1938, Prešov 1938-1939, Bratislava from 1939 to 1945, the police criminal judge from 1945 to 1959) belong gratitude for, we all in Czechoslovakia better lives. This important inhabitans and alleged peak menagers dont take to consciusnes in not long ago and neither today. In Vajanský river-side, compared to Slowakian national museum by located residential house, former building of Slovak Dunajplavba stock company, in what was service flats. Was estabilished only for his mr. capitains and mr. machines ingineurs. When embarke into service already in the uniform, his ship land in river-side and boatman cames for his bagage and carry to ship. Slovak Dunajplavba stock company, Bratislava, Ing. Vladimír Droppa general director and President of the Board of Directors Dr. Belo Kováč, Head mayor of Bratislava. After his resignation May 3, 1944, he assumes all the functions known lawyer Dr. Šefan Ravasz, relative to the First lieutenant Aladár II. Ondrejkovič over family Sandor and Ondrejkovič. Under old bridge freight harbour with storages, railways track lines, cranes line, building of ŠPS, old House of Boatmans, new building with firm dining-room and old adherents workshops of firm ČSPD n.p. Low new adherents workshops, river-side re-load, new cement position, entry to winter port with thu basins and old ship yard with shipes lift. (In the year 1963 fifteen years old autor asisted with thu schoolfallows to firm diver to clean track lines for ships lift in bottom portes basen. His exercise was clothed diver for war of Britanien imported diving suit of yelow-ash-grey rubber-textile, through head to shoulder and back put on heavy coper shouder, him put on thirty kg lead shoes, to breast and back him hang twenty kg of lead heavy weights and put coper helmet. To helmet conect hose with string and cable phone and control conect with precedes instruction to reciprocal comunication. After put fore glas to sheen cuper helmet was already must pumped area with hands pump with whel of eben wood, mounted in wherry of wood. After diver slowly entry with short ladder under level of portes basens. At any time school-boys to fall into oblivion and turn out whel pump slowly, or else to have diver problems with breathables. From time to time changed into him diver with phone reproved, or between self without supevisor sometimes wrangles. OL ČSPD Žilina), tourist town and capitol Ezstergom in the right km 1718, water of river Hron. Behind state border, what is river Ipeľ in danubean river-km 1708,2 is lest vilage Chľaba and Kováčovo with rest home and railway line in the river-side of Danube. Author with kolege visited vilage Chľaba in the year 1983. When here then only car ride round stay of Danubean borders guard, was surprised oldworldly visage of vilage and analogous face his inhabitles. Dignity old mans with broad hats sit for winevaults holow in earthen hill and without apparent interes for newcomers self devote in thoughts his lost world. (So as 300 years before). Andreas K. Vályi in the year 1796 too today known and frequently quoted historian and statistician blood related of family Sandor de Szlavnicza then too Ondrejkovič in detail reply too vilage Chľaba and Kováčovo. In the spring year 1964 before finish emptyd (when boatman in wheel-house of tug relieve one another 4 hours service, 4 hours rest turn asidet of line others tugs, was in moment on his board more what half metre billows of padles katarakt tug boat Liptov. Wash down to Danube too long cable of steel) oppositstream navigation tug convoy of stream side-whels tug boat ČSPD s/s Liptov then 17-yaers old author and his superior from wheel-house observed inhabitles of rest home in Kováčovo in his wolk along river-side. 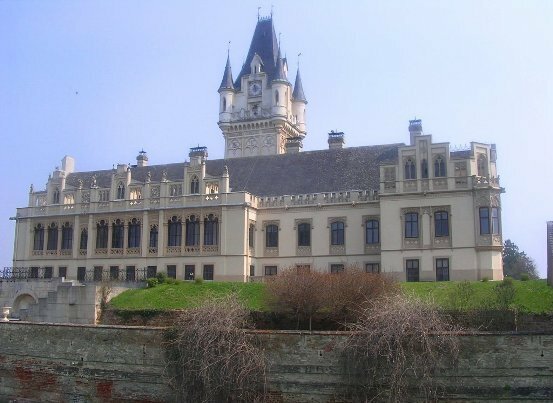 Of the river Danube oldest and best steersman, mr. Messing him at the time with language germans-slowakian language utteranced : ,, we in future a short time with wife here lived, our children we dont known." In then time usualy live boatmans with his wifes and small children all od the year in tug, or tanks tug of firm ČSPD. Many of boatmans dont have no other flat, that is why leave unfit for use. His school labled children live with to related, or in childrens homes. 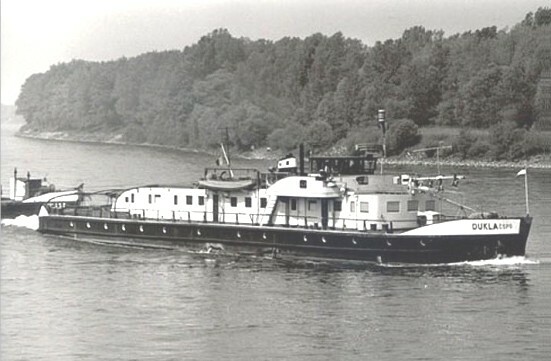 Mr. Messing, quarter master tug tank ČSPD T - V., was born in the river Danube in year 1905 in tug next vilage Moča. His father, tugs steersman of stream-navigation company DDSG, originated of germans minority port-town Apatín. Dead in Katarakty (Iron Gate), when he helms wheel of tug throwed opposite roof wheel-house after stroke to rudder. (Late in Danube was for often mortal casualty introduced and prescribed helm with smooth wheele in his bars). Danube flow to Hungary behind estuary of the river Ipeľ, whet onself flow to Danube in the km 1708 - state border. After surmounte Vysegrad gate (Lepence - Vysegrad, here onself round back ships of Passenger transport of ČSPD (OL Slavín) in sightseeing navigation of Štúrovo in km 1718, do year 1989) in the km 1697 north of Budapest. Nagymaros in km 1695. Of the year 1962 to year 1965 transported of Bratislava to Budapešt OL ČSPD Slavín passengers only down to drift, back came with second transport. (Budapest km 1647, port between km 1640 - 1657, was destination for regular line with rapid-ships Raketa, Vostok and Meteor of Passenger transport ČSPD n.p. Bratislava of the year 1965 to the year 1989, week stays engine passenger ship Družba of company Sorea and stream side-whels passenger ship (to the year 1972) ČSPD s/s Bratislava). with artilery fire noted Vukovar port (destination ships ČSPD) in km 1331,1. Bačko Novo Selo km 1319. Illok km 1301 (bridge direct Danube, here function of the end 19.century with reach slovakian minority venerable Marína Ormisová, her father was Samuel Ormis master in slovakian gymnasium of Revúca and founder of Vzájomná pokladnica (Common strong safe). Bačka Palanka km 1299.
panjandrum with chain his disloyalted whife). Author in the year 1977 was one of boatmans tug boat Tatry. This here in this time with antiflow shiping in kossova almost inverte. (School-felow of autor Eduard Dubrovay to have analogys experience with tug boat Dukla and kossova in port Russe. Here in anchorage shelved tug of ČSPD with boatmanns as find onself in week last long kossova without whathever aids. Surf of kossova evoked, that boats to self reciprocity impalemente, afflicted as their hulls and ship water. Bulgarian tugs boat refused put out to river with aid. Finally as to ship Dukla. In the U-turn as in surf so listed, that on his wind-ward side regulator of left engine incapable react. Engine as short-ranged relived, obtain as to criticle turning and thearted to detonated. Eduard Dubrovay, helmsman from one of injureds tugs, already refused as more abroad to boat roted to Lower Danube). Dobra in the km 1021. Berzasca km 1018. Drencova in km 1015. Greben km 999,5 and steamship " Vaskapu " with big hoisting drum and anchors chain in bottom of the river helped to load boat and tank boat opposite flow remorcers. Svinita in the km 1000 (former, for strong flow and rocky bottom danger for anchorage opposite flow elaborated boats after navigation direct Kazány. In the first navigation after his military service to have author ewperience, that with opposite flow navigation direct Iron Gate. Sip canal. Remainders from the bridge romanian imperator Trajan, origin was long 1127 m and to have 20 poled is in the river-km 929. In right river-side Brza Polanka in the km 884. Navigation chamber hydro power Djedjap 2. in the river-km 864 (bridge in the crown dikes, place often kossova). Radujevac km 863, in time small water here deluged ships more before 60 years see " Dunavski Vilenjak ", how German war flote "looked" of Danube wreck from germans war ships deluged in the end 2. World war, under water power station " Ðerdap 2 " for extraordinary low water-condition from Danube afresh emerged from dept impressived river. Lest mal it was before three yaers. In the new year is in plane clean this part of Danube and remove wreck. Rusty steell scelets of ships maybe thoose spring see last mall. 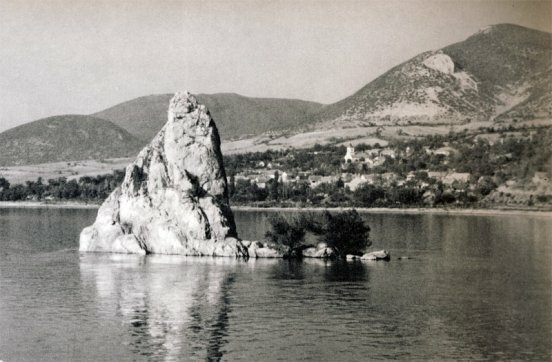 In notentered situations and for captivity of Soviet army in the September year 1944, in operations with name " Danubean demon ", germans general Walter von Stetner, leader of division ordered sink all Black-Sea flote in part Danube of Mihajlovac to Radujevac. To premised, that in Danubean delta was 300 ships and in sone Prahovo was 200, what was here sinked. 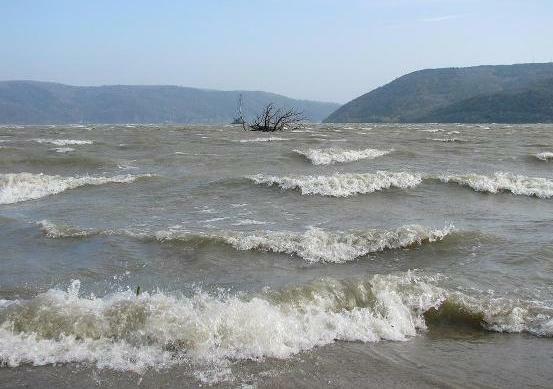 In the present time is in part of Prahovo, see above water maybe in long twenty meter from wreck war cruseir, what is in the midle of river and in low water-condition, first surfaced from water. From his immediate nearest above his, too under billows impressived river fosterlinged wrecks nearest neenteen ships. With sonar localisation vraks german fight ships in the end past summer, what made italian firm "Sogerma", come to realisation second fase, after published tender in selection firm for removed wrecks. Thoose exercise as work from ground realisation Master plane European agentie for reconstruction, what as premised revitalisation "coridor 7 ", for take railway and street transport to river way. After revitalisation " koridor 7 " is presuppose safe and garanted navigation in part of Danube of km 857 to km 863, principal from HE " Ðerdap 2 " to Radujevac, where is for deluged germans ships navigation riscant, because after long 6 kilometer are navigation line broad only 50 meters. Respekt to deluged ships, is navigation line of Danube in sector Prahovo (destination ships of ČSPD) in all nautic maps indiceted whit whites color. This standet, that for ships is here navigation to self responsibility. Remove wrecks already do not was pass current in thoose part of river prohibition meet of ships, or not once weited for sequence several hours. 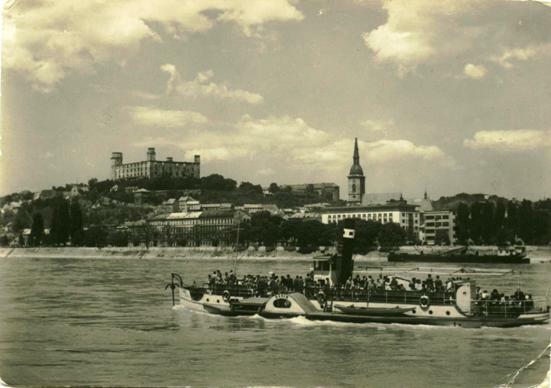 Text and photo: Ž. Dragišič Elevated germans flote from Danube ratify, or displaced ghostly myth from 2. world war. Blue cemetery likewise for lazaret ship. Germans sinked 240 ships with lasaret ship and woundens Many inhabitles of Negotín and Kladovo (destination of ČSPD) as gathered, that before starte work to clean Danube in Jugoslavia, is of necessity even removed from remainder bridge elevated too wrecks of germans war-ships deluged in the end 1944 next Prahovo and Radujevac, in the time 2.world war. To elevated wrecks mean not only safe navigation in sector water-rate HE " Ðerdap 2 ", but too relevante demonstrated legend, what do not verifyted - that blue river is 60 years cemetery one german lasaret ship with woundens soldats. Thoose event in the year 1945 in soviet magasine " Krasnoflotec " (" Red sailor ") copy too Josip Broz Tito. Between others on wittness event. Was to too mr. Jovan Kracanovič, what contemporary, that one of deluged ships was lasaret ship with woundens germans soldates. Germans in this time to have in Prahovo hospital with lighte woundens. Heavy woundens was located in lasaret ship. When begin deluge, in the midle of river was locate lasaret ship with woundens. - Was lissen big roar. Woudens do not roared of pains, but of fear when see how destiny was fixed from his comrades. Thoose without hesitation put to dynamit a round ship of both sides. Complains and shout was lisen long as ship delugedte. German soldates was stey in river-side with disclosed heads - remebered old Kracanovič. Long time do not fergot in this horror picture. With pieta solidar Germans and Soviets soldats, but too Jugoslavian partisans participated in the year 1947 in elevated wrecks. His elevated of Danubean bottom, what at that time was started is not today finished. Some memorable tell, that in first attempts, accuracy to time Informbiro in the year 1948 was elevated seven ships. Mojority from elevated ships was unfit for use. Some was rented with explosien and thoose what to have load wappe, was useless. Germans in first demonted importanted parts. One reparated ship appropriated Russian. Second what draged explodet in the midle of river. For Jugoslávia fall one tug fool with cuprum. Elevated wrecks germans ships, what in low water-condition some-times rised above surface of Danube is necessary, or limited navigation and round here may navigated only old boatmans, or navigation line is here broad only 50 meters. For elevated 40 ships of navigation line is need exert round 400 milion dolars, what thoose part of Danube to made safed. Elevated wrecks can lighting event terrible reports of lasaret shipes in bottom river, what history up to present day blanked and when already grow to more ten years thoose, what as in event any help was in vain spôsobom share a. Certainle it wishes fergot. This cemetery is not acceptabled under ground and not in bottom some big water basines. Prahovo 861 km. Mihailovac km 857. Danube to return in the south-east. From here flow direct to east and next estuary of the river Timok nad bulgarian town-port Vidin passed serbian-bulgarian border. In right river-side of Danube flow to Bulgaria (right river-side) in the km 845,65. Border Serbia - Bulgaria. Novo Selo in the river-km 833. Cetate in the km 811. Very rarely ships of ČSPD visited loading port and small town Calafat in the river-km 795, what enliven only ferry direct Danube to Bulgaria. For assume author no remeber. Ferry cross rive Danube is directly in direction rials. Estuary of river Timok, low in the right river-side is Vidin in the river-km 791, small town-port in north-west Bulgaria with regular line passenger ships from BRP. Here is important ferry to Romania (Calafat), what is 5km north of town (opposite flow of Danube). Of town is street to ferry along Danube. Centre of Vidín is charakter middlesea big arranged squar, from here continued braod street to small passenger port in Danube. Next river is extensive shady park, where is possibility count in shadows from trees. Round of town is carefuly repaired old barriers and gate. Railway station is not far from head squar, from what round-aboute alleys is exchangs and shops. Bathing and rowing sport - of park next river to came with steps to smoll plage, where pershaps 60 m from river-side is short-time place for anchorage with two-three load boats and in kayaks silence rowed young nices bulgarian girls fom sport skool in the clean and fine water more is nowbody. Charakter litle bigest province town and port Lom (destination ships of ČSPD) in the km 743 (next passanger port are hotel Moskva, rejda and anchorage place often košava), Free shop, railway station, market, steell works. Bisret in km 725. Town Kozloduj with nuclear power station in km 703. Bechet in km 679. Island in km 671. Corabia in km 630 (place often strong kossova). Zagrajden in km 625. Turnu Magurele in km 697 (place often strong kossova). Belene in km 577. Zimnicea in km 554. Svištov (destination ships of ČSPD) in km 550. Russe Филм за община Русе - 1 destination ships of ČSPD) modern town, river-sides promenade, old centre, elegant and fine hotel Moskva of fiftys years, modern hotel Riga in Danubean river-side under passenger port, theatre, Turkish part, Free shop, new railway station, pasanger port, old railway station (museum), ship yard, bridge direct river Danube with border pass, layby anchorage next old raiway station is exposed in the spring and autumn to often strong kossova) in km 495 (In the year 20.Dec.2005 next romanian river-side deluged after before fire push boat company Slovak Navigation and Ports a.s. SPaP TR Poľana. 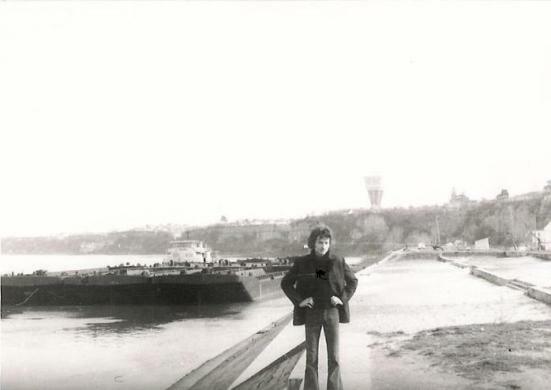 In second river-side opposite romanian port Giurgiu (destination ships of firm ČSPD) (too for sea ships) in the km 493 (place often strong kossova). Rjachovo in km 464. Oltanita port and ship yard in the km 430 (built push boats TR Inovec, TR Javorina, TR Magura, TR Poľana). Pojarevo km 425. Vetren km 396. Silistra Abschiedsabend in km 375 (place often kossova), low is estuary from Borcea canal. In district of Dobrudža Danube repeated round to nort-east, later to north of ports Braila and Galati flow repeated to east. State border, too in right river-side of Danube flow to Romania in km 374,1. Calarasi port 370 km. Port-town Cernavoda in (destination ships of firm ČSPD) km 300, with knowns most longest bridge of Danube and estuary from canal Cernavoda-Constanta (Agigea (destination of ČSPD). Giganticle construction of canal was realized with finace sacrifieced from all rumanians inhabitles in the times former regime. Author to have this opinione, that this building is in extent unalterabled with nothing was we know from building industries in of the time matured Czechoslovakia. Rocky straits and low Hirsova (Hârşova) in the km 253 (place bigest average from convoy tug boat ČSPD Tábor (leader capt. Ján Kr., helmsman A.) 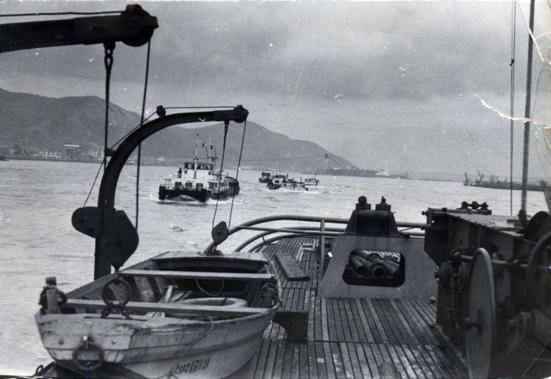 in the October year 1968 in flow navigation and opposite convoy from tug-push boat SDP Riga) in round with fishers settlements from Lipovans. Ships navigated in flow to have priority before straits and charge give for opposite ships warning sonic signal. Author was boatsman of convoy, what in the night to thrusted frontale to side opposites flowed convoy and take in rescued works. Short time before havarie lisn ships siren from tug boat Tábor with short, fast, consecutive signale, standet immediate danger collision. Above port Braila estuary of Borcea canal, what navigated convys to load water-condition Hiršava to port Cernavoda. 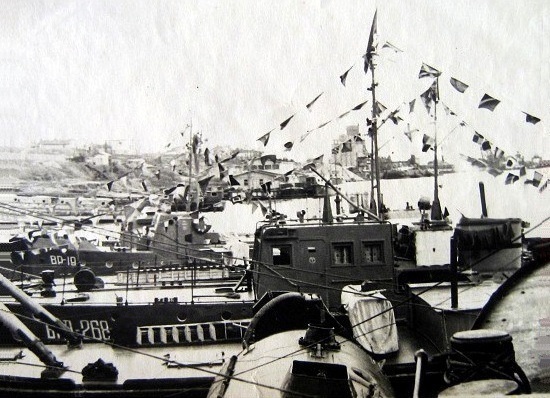 Town Braila (destination ships of ČSPD) to have old cenre, river-side promenade, corso, market, ship yard, aside place for loading boats next river-side, ship yard, army base danubean and army ship yard, navy transfer, rejda, anchorage, Free shop. Braila port between km 172-168,5 (place often strong košava). Port-town (often strong kosova) Galati Dunarea la Galati with promenad, (here in anchor splendit yacht her holder was King Carol II. 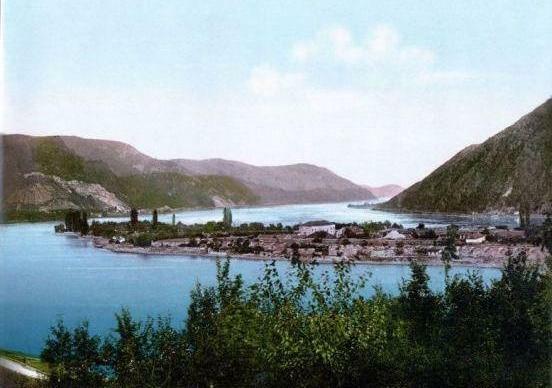 ), (destination ships of ČSPD) in the left river-side between km 146 - 151 (often strong košava) with 2 basens, (in old ship yard), anchorage, steel works, with overloade bus of town transport for gas, store house with cheaps, unqvalitys only romanian and part chinese tovar, tram from home made wagons and big ratio suplier market and with charakter oriental overload sea ships. Border Romania - Moldavia. Danube flow to Moldavia (left river-side) in the km 134,14. Danube lost in the left river-side of Moldavia and flow to area Ukraina in the km 133,54 (only left river-side). Above first ukrainian port Reni receive Danube in short Moldavian part of Danube waters of estuary river Prut. Port-town Reni with (destination ships of ČSPD) majority ground floor buildet from primitive buildings materials, without canalisation, town comunication with non-firm surfaced with asfalt be situated often direct to marshes. Next port litle better bulding of Sailors club with entry only for foriners. In centre with carbol bad-smelling, very weak supply store house and better market. Restaurants with typicly soviet sortiments of meal. (But eat here can). State border Romania - Ukraina. Giurgiulesti port in the km 133. Reni port in km 128 (after year 1989, too here more liminet loading comoditys and turn-over of ships). Isaccea km 103. State border. Danube flow to Romania in km 79,73 (right river-side). 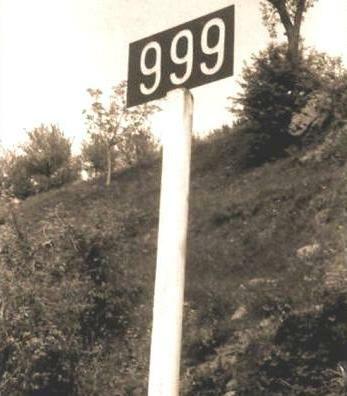 Port Izmail je na ľavom brehu km 93. In picture from 9.mai 1973 are soviet war ship "ВРД-268", former armoured minelayer from Czechoslovak Danube fleet OMm 36 in vojenskej námornej základni Izmail so sňatou turret from 48 mm pancierového plechu s dvomi ťažkými guľometmi vz. 37. Bola ako vojnová korisť sovietskej Dunajskej flotily skonfiškovaná rumunskému kráľovskému námorníctvu u ktorého služila ako V 6 spolu so sesterskou armoured minelayer V 5, former OMm 35. Obe boli v r.1939 včlenené to Deutsche Krigsmarine, ako Flußminenleger FM 2 and Flußminenleger FM 1. Kriegsmarine sňala ich depot from 6mm pancierového plechu and nahradila 1 ťažký machine gun vz. 37 ZB na zadnej palube automatickým 20 mm kanónom Oerlikon. In the year 1940 boli odpredané Rumunsku. Armament: In Romanian service: 1 x 20 mm Oerlikon AA gun, 6 x 8 mm machine guns (2x2, 2x1) vz. 37 ZB, 22 mines vz. 28 or 22x Z vz.32. . Port and town Tulcea in km 73,5 Danube estuary to Black Sea with bulky delta, what area all the time expandet. In the contemporaryd delta of Danube occuped area 4 300 km2. Next town and port Sulina (destination ships of ČSPD) Danube flow to sea in the Danubean river-km 0 (place often košava). 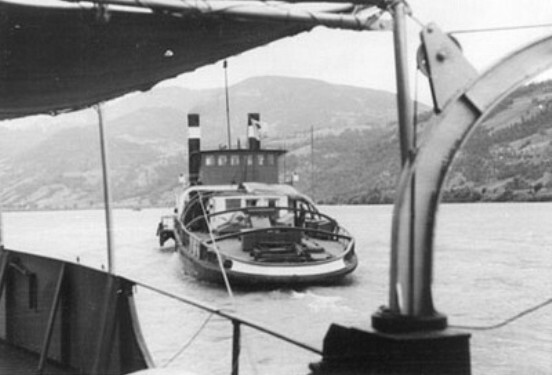 Czechoslovak katarakt tow boat ČSPD Křiváň in 1964 with the Romanian katarakt Towing-pusher Dacia drags on the ropes Czechoslovak barges over the construction of water power Djerdjap I (1). 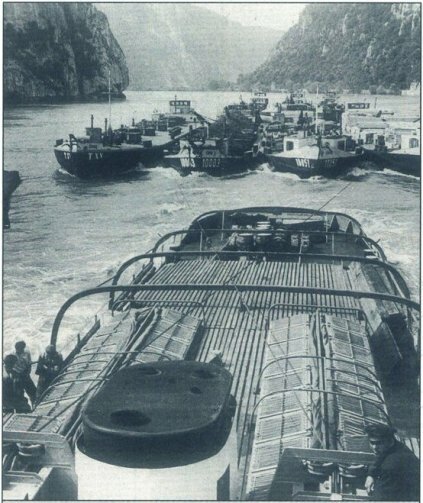 Hungarian tugs MHRT Miskolc with hydrobus ČSPD pipeline in Sip channel on the ropes locomotives in 1964 (2). The crew of the film prepares hydrobus ČSPD Družba in the port of Sulina on the Black Sea voyage. Guidelines issued by the Head Captain Alexander Oberta (stowage was also the author of the tug Tatry) behind him captain Peter Majerník (3). Hydrobus ČSPD Družba filmmakers from the study Koliba at sea. Sitting captain Peter Majerník taught author the navigation and the maritime geography teaching. In the middle sits machinist III. Eduard Olša, standing right next to mach. as. Peter Simeonov (4). Katarakt tug ČSPD Kriváň cruise along the construction site of the dam DJERDJAP I. the Yugoslav side of the Danube. Larzen back (5).